Brilliantly simple – simply brilliant! 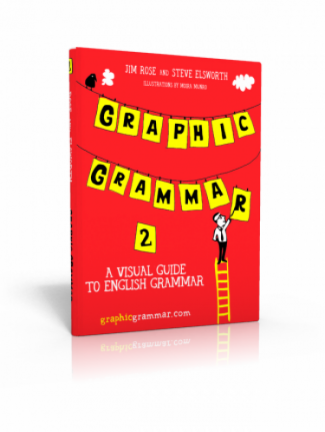 Graphic Grammar is a grammar practice book for students of all ages. 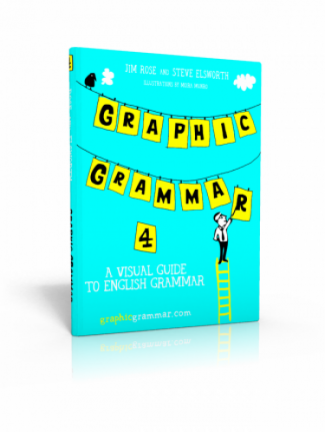 Written by best-selling English language authors Jim Rose and Steve Elsworth, the Graphic Grammar series consists of four books, taking the reader from complete Beginner to Early Intermediate stages of English. 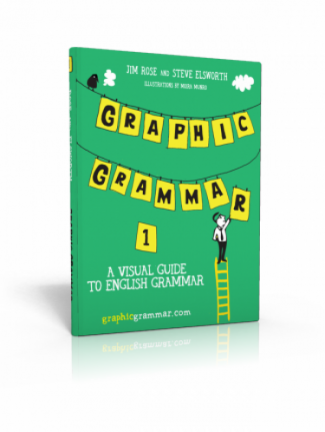 Each book has fifty units of grammar, containing an illustration to exemplify the grammar point, with grammar tables, examples, and practice sentences. All of the practice sentences have answers for self-checking. The language is graded so that the books can be used at home for self-study, or in class with a teacher. The basis of the books is that it is easier to see and understand English grammar than it is to read abstract descriptions. Difficult grammatical areas are tackled – use of definite or indefinite articles, regular and irregular verb formations, verb transformations, pronouns, adjectives and adverbs. Readers are encouraged to see patterns in the English language, making it easier to understand and remember English usage. This is a completely new approach to English grammar. It takes into account different learning strategies, and simplifies what for many people is a difficult and unapproachable subject. This is Book 4 in a series of four. This book looks at some of the more complicated structures in English grammar, such as conditionals, passives, and reported speech. We also take in Present perfect – one of the more difficult areas for learners – and phrasal verbs. But it’s still easy to understand and there are plenty of pictures and illustrations. Graphic Grammar presents things in a simple easy way! Jim Rose and Steve Elsworth are best-selling authors of English books written for Pearson Education. They have been working together for twenty years, and have published Go!, Energy, and Look!. They have given lectures and demonstrations in 22 countries across Europe and South and Central America, and their books have sold millions of copies around the world.